Hightower Brighton offers television commercial production for clients in and around Brighton. We are the company for all your television advertising production needs including concept, scriptwriting, and location, crew, casting, filming and post-production. We have produced quality television commercials and corporate videos for over a decade. When you choose Hightower Brighton for your television commercial production, you get access to a creative team that effectively manages the process and delivers high production values within your budget. There is nothing that can replicate or match what television does. It delivers greater profits with better cost-efficiency and lower risks. Television is the most effective brand awareness channel, and it has the potential to make unknown brands famous, ensuring that they continue to create an impression in the minds of their target audience. The scale of television means it can reach a wide audience across all demographic groups. Research shows that the average UK viewer watches over 210 minutes of television a day, which translates into 45 television commercials a day. Television is responsible for 62% of advertising generated profit in the short term with a Return On Investment (ROI) of £1.73. Investing in television commercials increases the effectiveness of your commercial by 40%. In the last five years, it has maintained its effectiveness at driving advertising Key Performance Indicators (KPIs). Think of television as the biggest microphone you can use to get your message out to your target audience. Despite the growth of streaming giants such as Hulu, YouTube and Netflix, television remains an effective means to reach your target audience. All advertisers worry about the efficacy of television as many users spend more time watching PVR recorded programmes and binge-watching shows on streaming services. But, television advertising hasn’t suffered the damning blow that many feared. Even the big companies in the UK such as Netflix, Google and Facebook continue to spend over half their marketing budgets on television advertising. Few mediums of marketing offer the same scope for creativity as television commercials. The audio-visual element of a television commercial has a long-term effect on the audience. With the help of Hightower Brighton, we can create a quality commercial that reflects the character of your business and penetrates the imagination of your audience. There is a strong branding message that is communicated when people turn on their television and see your commercial. It offers the unique opportunity of immediately grabbing your audience and sparking interest in your product or service. Other marketing formats such as online banner commercials, PPC and social media campaigns are effective but not at the same level as television commercials in terms of how they convince people to listen to your offering. You can appeal to an unreached demographic who are just as inclined to spend, such as the Gen X and baby boomers. Hightower can easily integrate your television commercial with other marketing strategies for a cross-platform approach that reaches a wider audience. People believe that anyone who airs a commercial on television is someone they can trust. The increased number of cable networks ensures that smaller brands can also reach a targeted audience through affordable advertising. Television commercials have gone beyond being mere commercials, to providing tools for advertisers to harvest data and track performance. This ensures that brands can utilise strengths or drawbacks in order to create targeted commercials that maximise ROI. Consider that televisions are as common to homes as furniture, and you have a wider audience than radio or newspapers. Television commercials leverage the power of a compelling visual which combines motion, sight and sound to create a lasting impression. After watching a television commercial, viewers are more likely to make a purchase because they feel more motivated, informed and convinced. It is a clever branding tool that offers you a large platform to tell your audience about your company and its’ offering. Most importantly, it is a great tool for generating profit. 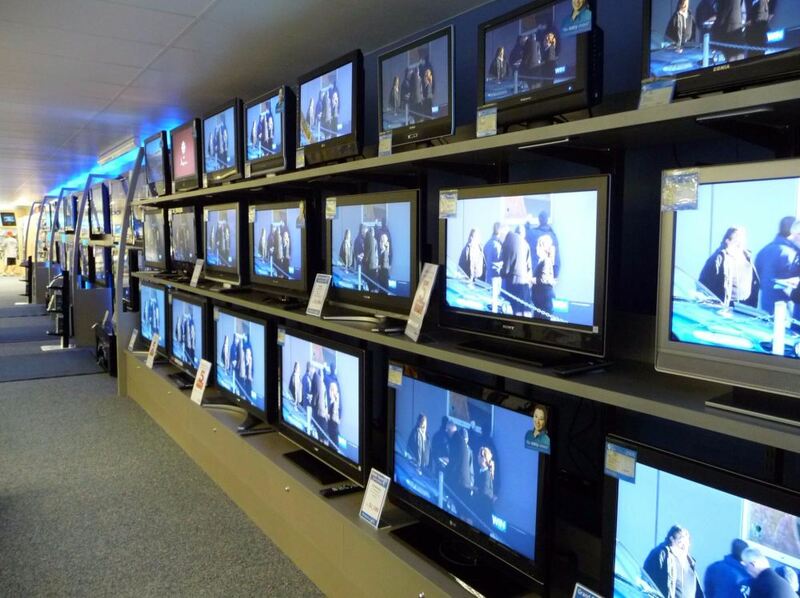 UK researchers have proved that television commercials bring a return on investment. Are Television Commercials Really Expensive? Many companies make the mistake of excluding television commercials from their media and advertising budgets because they feel it is too expensive and affects their ability to spend on other advertising channels. Many people are surprised at how affordable television advertising can be when compared with other mainstream advertising medium. The cost of producing a commercial could be as little as £2,000. However, advertising time for prime television viewing, for example during a Premier League Match, would set you back further but, at the same time, increase exposure. Yet, you can achieve reasonable success without playing your commercial at peak viewing periods. Hightower Brighton will help you target programmes with your specific audience demographics to ensure the people who are most likely to convert or purchase are viewing your commercial. We are one of the leading business and corporate video experts in Brighton. For decades, we have served small, medium and large scale corporations, helping them to reach their marketing goals and maximise their digital spend for success. We bring our experience and in-depth knowledge of television commercial production to create an effective video for you. Our highly skilled in-house team of voiceover artists, scriptwriters and trained actors will create a television commercial that communicates your offering and highlights the essence of your brand. In Brighton, we have developed a reputation for producing high-quality works that our clients and their target audience enjoy. Hightower Brighton has worked with over 200 satisfied clients, and you will get the same top quality service when you choose us for your television commercial production. Hightower Brighton only works with professional, highly experienced creative crew members, artists, editors, technicians and animators. We have a speciality crew for different sectors to ensure that you receive a personalised service. We can produce attractive videos that get your messages across in the fastest time. The commercials we produce for you brings exposure to reach your marketing goals by captivating your audience. The basic principles of making a television commercial might be similar to other types of video production, but to get a return on investment it will follow a more detailed process. This process is completed by Hightower Brighton’s team of creative professionals. This is the stage of planning before the actual production. Pre Planning is of paramount importance for a video production process. Ideas are brought together into a unified plan in the pre-production stage. Here, we consider your budget, your target audience, your brand and the message you are aiming to communicate. It includes working out the cast, crew, shoots location, lighting, audio, scripting and storyboard. The idea is to get everything sorted out before shooting to minimise risks and issues with production. After settling on the arc for the television commercial and getting your approval, this is the stage where we shoot the ad. It is not necessary for you to attend the shoot because our experts are on hand to supervise your project. The timeframe of the television commercial shoot depends on the storyboard, revisions, reshoots and final approval of the product. It could be completed within a day or over several days. We always stay within budget and deliver an ad that communicates your marketing message. Before we shoot, you will review the preliminary concepts for consistency with your marketing goals and the ability of the video to reach those goals. This is the usually the quickest part of the production process. Editing and other aspects of post-production are where most of the finishing touches are applied. Usually, there is some back and forth with the client to ensure that the ad is perfect. We add images, music, special effects and colour correction, and the voiceovers, dubbing and editing will be consistent with your requests. We can also integrate your television commercial with other formats for social media, print and online video. The Producer is your initial contact, and it is the Producer who assembles the entire team for your television commercial and is involved throughout the project. The Producer is crucial to the success of the video production and works hard to ensure your television commercial is delivered on time and within budget. The crew consists of professionals, each an expert in their field, hired by Hightower Brighton as part of the team that produces your television commercial. They include the sound recordist, director, camera operator and editor amongst others. The director communicates with the crew and has creative control of the project. Our in-house scriptwriters produce a creative script for your television commercial. They write engaging dialogues that naturally incorporate your message and drive results. Without a good script, your message falls flat and will not resonate with your audience. Our animators are brilliant artists who provide the drawings and models that we use to produce an advert. They use the latest computer generation software to draw realistic characters that establish an immediate connection with your target audience, whilst, at the same time, successfully communicating your message. We have worked with almost every industry in our ten years of producing television commercials for our Brighton clients. From technology, property marketing, health care and home improvement, we have got an in-house specialist to suit every sector. There is no better way to get your message across to your target audience than through a television commercial. With 10 years of industry experience, we can help to create a compelling home improvement television commercial that engages and inspires your audience to take action. We can build a set or scout a location that fits your requirements. Architects do not only sell a building; they sell a dream of what the clients can do within the home or commercial building that they design. To connect with your audience and build trust, we emphasise your qualifications, past accomplishments and current designs. We tie it in with the connection people have to their homes and the aspirations of business owners. Our television commercials show your clients, both the commercial and residential services that you can deliver. If you specialise in designing commercial spaces, luxury homes and offices, you need to show people what they will enjoy when they commission you for a project. We use a powerful storyline, impressive visuals and aesthetics to create the winning commercial that sells your service to your target audience. There are many television commercials vying for the user’s attention in the home furnishing industry. To ensure you stand out, we will focus on your traditional production process, what sets it apart from the competition and your attention to detail during production. This is especially important for high-end brands that sell luxury goods. Television commercials will provide estate agents with a wider reach, more credibility and better exposure. All of these mean more business for you. Just as with architecture, we focus on selling customers their dream home and convincing them that buying a property from you will help them realise this dream. By building credibility and trust, we ensure that clients are at ease when interacting with your services. As with other forms of advertising your healthcare ad will fail to resonate with your audience if it does not stand out from the competition. Our industry-leading professionals create a television commercial that delivers measurable results. We handle all types of broadcast commercials from a half-hour television infomercial to a two minute commercial. If you need a television commercial, Hightower Brighton can make your television commercial a success. As a fully service television production outfit in Brighton, we cater to all your needs from scripting, storyboarding, shooting and editing. We have also got in-house support if you need an original soundtrack or special effects for your television commercial. If you’re shooting your commercial in a studio-built set, Hightower Brighton will create a custom set to achieve the goals of your television commercial. We have constructed hundreds of sets for clients where studio sets were a need for either part of the video or the entire video. We can also create a new concept from scratch with inspiration from your storyboard and scripts to ensure it flows naturally with the television commercial. We have some of the finest facilities for your television commercial production when filming on location within Brighton, the UK or abroad. Our fully integrated services include pre-production assistance, budgeting, crewing, scheduling, catering and transportation. We can scout the perfect location, get permits and approval and take care of visas and other logistics. Whilst there are unique challenges to filming on location, count on Hightower Brighton to cross those bridges on your behalf. When trying to create the perfect commercial, you have probably had some visionary ideas that will make your television commercial stand out. If animation is a part of that picture, our team of experienced modellers, animators and directors will create a high-quality animation in stop frame, 2D or 3D. We have got storytellers and motion graphic experts who will create animated characters that establish an emotional connection with your audience and tell your story the way you want it told. Our animation services include Visual FX, particle effects, graphics without character, photoreal effects and environment modelling and design. Human actors bring your animations to life. They can also tell a convincing story that can nudge your audience to take the action you desire. We can find the right actors based on your product/service and your audience. We handpick the voice actors and offer you a selection for you to make the final choice. Most of the special effects and magic you see in a television commercial is the work of CGI and editing in post-production. At this stage, our animators and CGI artists use their skills to breathe life into your television commercial. We use the latest software to create special effects, and our gifted video editors turn your raw footage into an engaging commercial. Visual FX or visual effects combine existing footage with CGI to create realistic scenes, whilst motion graphics are animated graphics in motion. We can use both to create a television commercial that emphasizes your message and resonates with your target audience. Integrated Services Digital Network is a system of digital phone connections that allows recording studios in the UK and abroad to connect digitally with a voice-over artist working in a home recording studio. Both parties hear the same voice over recording in real time with perfect quality. To ensure you receive the highest quality, we record our voiceovers in a high-tech ISDN studio that gives equal attention to technical aspects and creativity. Looking to create a television commercial longer than two minutes? Hightower Brighton is very adept at this type of television advert production. We have worked with a number of high profile clients who require long-form direct response commercials. We are the Brighton agency to contact when you need a long form television advertising campaign completed without any glitches. BR Television blends the higher production values of conventional branding commercials with direct response style advertising. We understand the role of brand response television commercials for your campaign strategy and we have the expertise to produce a television commercial that gets the response you need in order to achieve your marketing goals. We leverage our experience of UK television commercial production to create a commercial that sticks to Clearcast stipulations regarding screen text, graphics and supers. We can also submit your commercial to clearcast on your behalf. 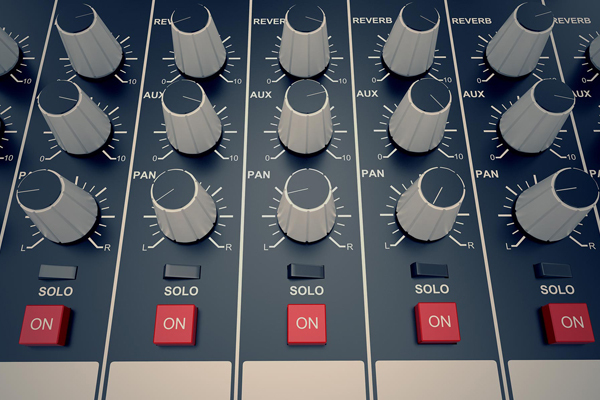 Apart from submitting your commercial, we also handle your playouts on your behalf. This is an industry term that describes all software, equipment and processes for playing, converting or rendering source media into the right form for airing or external use. We will distribute your commercial to any station in the UK or beyond for broadcast. 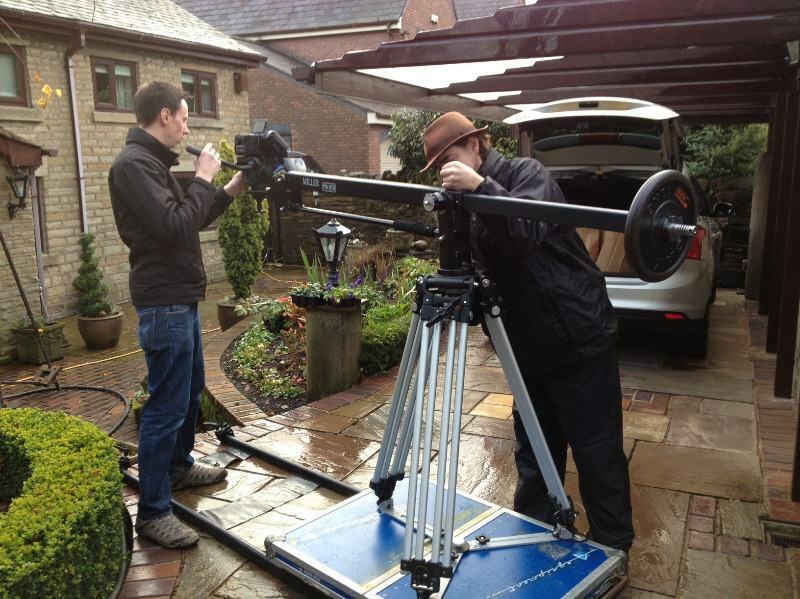 Producing your television commercial is one part of the job. You also need good spots for your commercial to effectively reach your target audience. We work within your budget to get you the best placements for your advertising campaign. Hightower Provides fully serviced professional music video production in Brighton. We can make a 3 to 5 minute video that is entertaining, fun and boosts sales of your product or service. We make a high-quality video in 1080p high definition, which will communicate your message, stay in tune with your brand voice and sell your product or services. The message must be clear and concise for your television commercial to have any success. Hightower Brighton offers script augmentation and development services. Our scriptwriters are some of the best in Brighton. We will help you create a television commercial that works whilst our visual effects experts develop a compelling message that delivers crucial ROI for your business. Clearcast clears television commercials for broadcast on the UK’s main commercial channels. Hightower Brighton has a copy clearance service that ensures your commercial gets cleared and is aired with major UK broadcasters. Storyboarding is a form of illustrations displayed in sequence. When you come to Hightower Brighton with a script, our professional storyboard artists create boards from the written script. It will be based on marketing goals and exhaustive research of your target audience. Filming is the next stage after pre-production. We use the agreed upon the size of the crew for the project. For smaller shoots, we use a single camera and we use multiple cameras for large events. Our production crew has a range of filming techniques to ensure the best results. Hightower Brighton can facilitate equipment hiring for video production outfits who do not have all the equipment they need. Our constantly evolving video unit contains of the latest camera systems from Sony and Canon, as we always invest in innovative technology that keeps us several steps ahead of the competition. Before using a copyrighted song from an artist, you must obtain clearance to use their song for your television commercial. Our Brighton based music supervisors will conduct research to obtain a license on your behalf. Sometimes, finding the right song for your television commercial is difficult, and you require a soundtrack that is entirely yours and which will complement the message you are trying to communicate. We have an in-house team of gifted music composers and music experts who can compose an original soundtrack for your television commercial. Also known as mixing or re-recording, it is not to be confused with voiceovers. Sound dubbing conveys an enriched message using tools like dialects, accents, tonality and nuance. Generally, it involves for example, replacing the voice of an actor speaking their mother tongue with another actor in a foreign language. Alternatively, it is recorded by voice actors and merged with the original track of the video footage. We have an expert team of sound engineers who will produce an excellent dub that your audience won’t notice. This is how we ensure that your message has a wider reach and audience. There are requirements of all television commercials that need to be adhered to in order to comply with broadcast standards. When you choose Hightower television production Brighton, you get a television commercial that meets the technical broadcast requirements of regulatory bodies in the UK. We check all aspects of your television commercial to ensure that it is perfectly compliant. You need to work with a professional video production agency in Brighton to ensure that you don’t lose money and time. Hightower Brighton provides project management services for television commercials that will be delivered on time and on budget. We can deal with any problems that arise during production. Our production team double as project managers and are involved through each stage of production. We can help you to effectively monitor the performance of your television commercials. Tracking and analyzing performance against your budget lets you know if your advertising campaign was successful and met your marketing goals. We are offering you the opportunity to determine if we are truly worth your money. Peruse some of our most recent television commercials to see the high quality of work we produce. Have a look at our behind the scenes footage to see our experts in action. Are you in Brighton, Hertfordshire or somewhere else? Do you have a budget for your video production? Need the services of a professional television advertising production company in Brighton? Hightower is the right fit for your Brighton business. Give us a call today on 02070787270 to speak to one of our talented producers and get started with your project. Hightower is proud to offer TV Advert Production in Brighton services in Brighton, Brighton is a large town located in the county of East Sussex in South East England. A variety of businesses including Hightower make East Sussex and Brighton their home. Hove, Mile Oak, Moulsecoomb, Hollingbury and Hollingdean are included withinin Hightower’s TV Advert Production in Brighton service area in the City of Brighton and Hove. Last but not least Hightower’s TV Advert Production in Brighton services cover the Brighton Municipality including Bear Road area, Brighton Marina and Stanmer.